Last month, the New York Times published an article about the growing number of older adults who are aging without the support of adult children. The piece shared that approximately 22% of people age 65 and older are either childless or not currently in touch with their adult children. Without a traditional support system, these individuals will likely be more reliant on supportive technology services and non-familial social networks to protect their life savings as they age. These tools will help ensure that seniors’ advance planning and end-of-life wishes will be fulfilled, especially in the event of physical or cognitive decline. The piece recommends that tools like EverSafe be considered to protect their financial well-being. 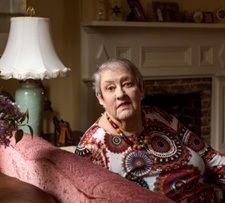 With the growing aging demographic, caregiving has become the new normal. According to the National Alliance for Caregiving, there are currently about 36,000 caregivers in the US and more than half of them provide some degree of financial support. For financial caregivers, the monthly costs of providing medical assistance, food, and personal-care items for loved ones can be prohibitive. Taken together, these budget items can cost caregivers more than $500 each month, according to a recent CNBC article. 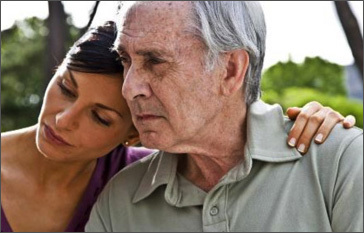 In that about 47% of caregivers report that they stepped into this role unexpectedly, an important first step toward avoiding the budgeting burdens associated with caregiving is to be proactive in discussing loved ones’ plans for the future, including financial planning and fraud prevention, while they are in good physical and cognitive health. Never share bank information with anyone purporting to be from Medicare. 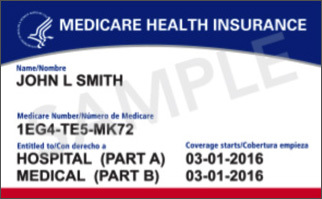 Medicare is not providing “refunds” for old cards. Capital One configuration data (IP addresses, administrative credentials, passwords) was leaked by analytics firm Birst in January. No consumer information was lost, but the breach provides a roadmap for hackers. Standard credit report monitoring will not alert consumers to suspicious activity in depository and credit card accounts. Consumers who are concerned should step-up efforts to keep an eye on their own and family members’ financial activity with vigilant monitoring. On April 5th, AARP announced the launch of a weekly podcast about a number of alarming scams currently facing older consumers. Every episode will include exclusive interviews with scam victims, professional con artists, and experts. Listeners will walk away with tips on how to better protect themselves from fraud and abuse. The series is available at AARP.org/ThePerfectScam. 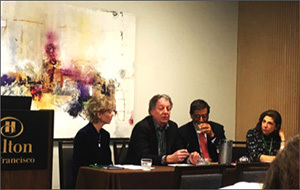 At this year’s 15th Annual What’s Next Boomer Business Summit in San Francisco, hosted by Mary Furlong and Associates (MFA), EverSafe CEO Howard Tischler presented on a panel alongside well-known journalist Kerry Hannon, Susan Weinstock, Vice President of Financial Resiliency Programming at AARP, and Surya Kolluri the Managing Director at Bank of America/Merrill Lynch. Mr. Tischler relayed his personal experience involving his mother after learning that she had been exploited, which inspired him to develop the EverSafe platform. He emphasized the need for family members to understand that an individual’s ability to manage their finances starts to decline, on average, at age 53. Ms. Weinstock shared that 1 out of 6 American employees currently provides some level of care to a family member or friend. The growing longevity marketplace was highlighted by Mr. Kolluri who noted that consumer spending by those over the age of 60 across the globe will reach $15 trillion annually by the year 2020. In fact, Merrill Lynch now offers a longevity investment option for its clients and offers its financial advising staff a longevity training certificatefrom the University of Southern California Leonard Davis School of Gerontology. On June 20-21, MFA will continue this dialogue on the growing importance of the longevity economy when they host the Silicon Valley Boomer Venture Summit at the Claremont Hotel in Berkeley, California. February 5, 2018 was the effective date for the enactment of FINRA Rules 4512 and 2165. In sum, broker dealers are now required to make reasonable efforts to obtain the name(s) and contact information of a designated “Trusted Contact” upon the opening or updating of a customer’s account(s), and they can now place a temporary hold on disbursements if they suspect financial exploitation in certain cases. These new regulations provide a perfect opportunity for broker dealers to involve customers’ Trusted Contacts in fraud monitoring. If you are looking for a template of a Trusted Contact Form from the EverSafe Toolkit, go to https://www.eversafe.com/trusted-contact/. For more information about using EverSafe to implement the “Trusted Contact” rule, contact: TrustedContact@EverSafe.com. Additionally, FINRA has a frequently asked questions section of their website to assist in the implementation of the Rules. First recognized by President John F. Kennedy in 1963, May is Older Americans month. The 2018 theme is to “Engage at Every Age.” TheAdministration on Aging and the Administration for Community Living are emphasizing the importance of participating in activities that enrich the physical, mental, and emotional well-being of older adults. The Older Americans Month website includes a useful resource library—including a direct link to the Consumer Financial Protection Bureau’s financial security webpage, with information on scams and fraud-prevention tips.